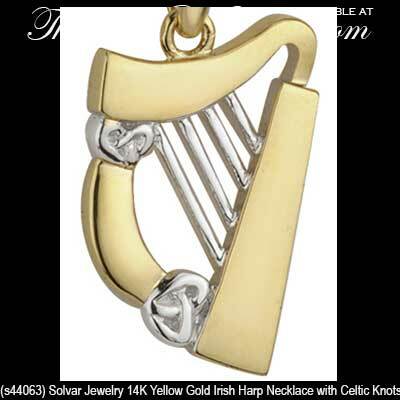 Irish harp necklaces are offered in a large assortment that includes several with Celtic knot-work. 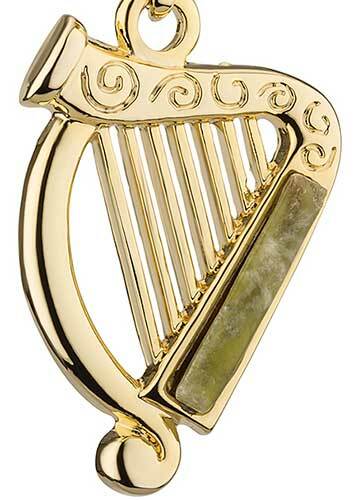 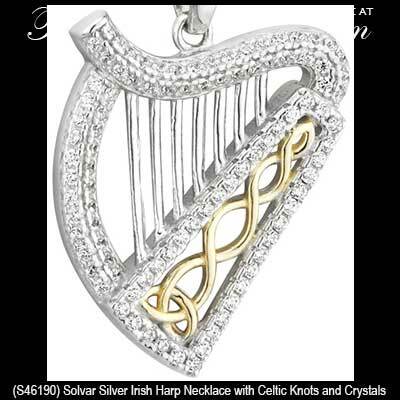 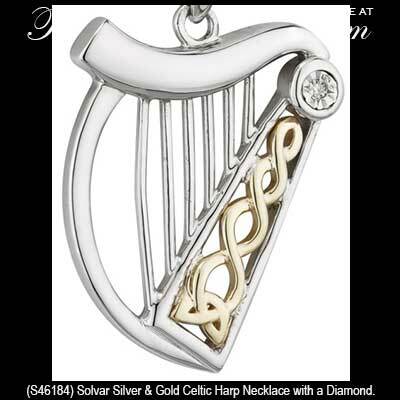 The Irish harp necklaces at The Irish Gift House are available in sterling silver as well as gold and plated designs. 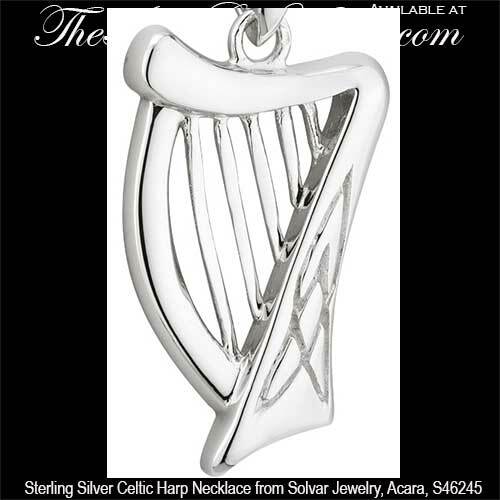 Embrace your Irish heritage with Ireland's national symbol. 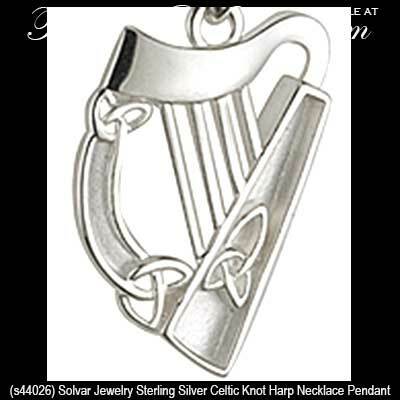 In additional to our wide range of necklaces, The Irish Gift House is proud to offer additional selections, that feature Ireland's iconic national symbol, in the form of Irish harp charms along with harp brooches. 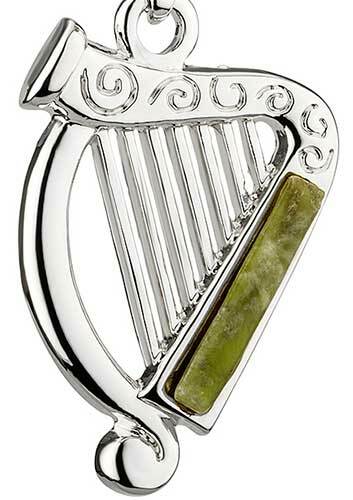 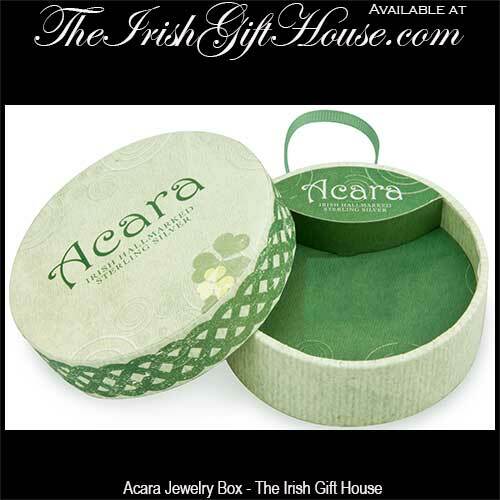 You may be happy to know you will be able to create a complete ensemble as we also feature Irish harp earrings.